Once a closely held secret, Taijiquan was brought to the public to help restore the health of the nation. The origins of Taijiquan are not clear. The story of the martial arts in China is linked back to the early monasteries. 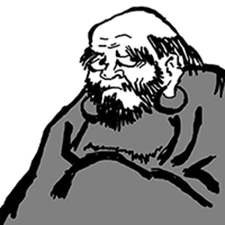 According to one legend, in the fifth or sixth century a traveling spiritual teacher from India, Da Mo or Bodhidharma, found monks who were so weak from lack of physical activity that they had difficulty holding their heads up while meditating. The Shaolin martial arts trace their origins back to those times. 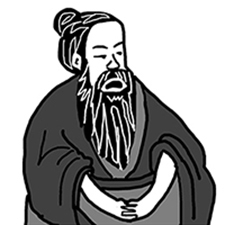 Around the year 1250, a Taoist immortal was born in China. His name was Da Mo and he is supposed to have lived nearly 200 years. He is considered to be the founder of the Internal traditions or Neijia wherein the primary emphasis is on the energetic movement within. The story goes that Da Mo observed a life and death struggle between a snake and a crane and from that battle was inspired to create the fighting form upon which Taijiquan, Baguaquan, Hsing Yiquan are based. The crane defended and attacked with its broad wings whipping and snapping like a whip. The snake undulated, coiled and lunged in darting strikes. Their ways of moving inspired Da Mo to use those ways of moving to teach the monks a series of exercises they could use to strengthen their bodies and defend their monasteries from wild animals, vagabonds, and thieves. The earliest origins of Taijiquan will likely never be truly known. But what is known is that several of the most important contributions to China's culture were melded into a complete system of martial arts. Medicine, meditation, Taoism and fighting arts all shape the Taijiquan we know today. Over the centuries it has continued to evolve surviving cultural efforts to erase it from the world. The historical record of the art we know today can be traced by documentation at least as far back as the 17th century in the Chen Village. While the full history of Taijiquan disappears into the fog of time, the art has survived and continues to evolve. Taijiquan contains many parts of Chinese culture. Its roots extend back thousands of years. More than five thousand years ago the Yellow Emperor is credited with the development of agriculture, writing, mathematics and medicine. Many of the important theories that influence Taijiquan trace their origin to this early time in Chinese history. The I Ching, the Book of Changes is another fundamental authority for Taiji. Written near the first millennium before the Common Era, the I Ching is considered one of the five classics of Chinese literature, and perhaps the most influential. The I Ching describes the patterns, variations and constant flow of life in a mathematical structure based on the binary system of yin/yang. In the I Ching combinations of the two (yin and yang) are placed together in sets first as pairs, then in combinations of pairs. Simple and elegant, the combinations can be described mathematically as factors of two. Two to the third power produces eight possible combinations or the Bagua. Two to the sixth power gives 64 permutations. By the time the combinations are set to the third power, there are eight possible variations, called trigrams. Taking together all the permutations of two of these trigrams gives the I Ching its 64 hexagrams. 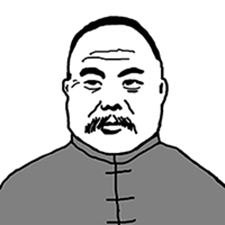 In the 17th century in the small Chen Village in the Henan province, a respected military general Chen Wang Ting has been credited with a martial art that would one day be known as Taijiquan. 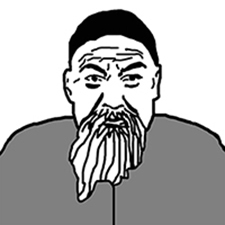 As so often happens in the transcription of story, this point is disputed by some who have traced the origins back several more generations to Chen Bu who lived in the late 14th century. In either case, it was not until the mid-19th century that the name Taijiquan and written records are found. It is understandable that nothing was recorded during those times. In addition to the lack of literacy prevalent in rural China, those times were fraught with dangers from hooligans, bandits, and brigands. During the era of its early use, having a secret method of defending the village was a matter of life and death. Thus its secrets were kept in tucked away from public view. So secretive was the art that it was not until the 19th century that Yang Luchan (1799-1872), who as a child had come to the village as an indentured servant, so impressed the family patriarch, Chen Chang Xin, that the first non-family member learned their family art. After serving for more than 30 years as a servant Yang Luchan was released from his servitude. By then he had become highly proficient. After leaving the Chen village, Yang made his way to Beijing. His fighting skills brought him to national prominence. His art was known as "soft boxing." Yang was small in stature, but was never defeated and earned a reputation as Yang, the Invincible. He taught the art to a small number of students in the imperial palace. Written documentation of the principles and practices first appear from this period. It is in these manuscripts that name Taijiquan seems to have been attached to this art. Two of the experts who learned directly from Luchan created derivations of the form called the Wu and Hao forms. 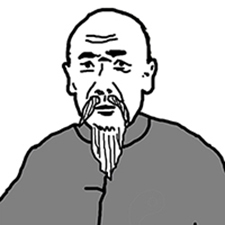 It's important to remember that Taijiquan is based first and foremost on being consistently in harmony with its principles not strictly on replicating a series of choreographed techniques. The sequence of postures and transitions is determined, but the execution attenuates to each individual. Alignments and mechanics are crucial to the execution of all the movements, and since each person's physical structure is unique, those alignments and mechanics need to be simultaneously universal and individual. Also, in all likelihood in the early days of Taijiquan's emergence from Chen Village, the emphasis on form wasn't codified as much as it was taught to the personality and physique of the individual student. Yang's sons continued to spread the art and legacy. His second son, Banhou (1837-1890) taught a few highly skilled disciples. Banhou was a tough taskmaster and students bore the brunt of his skills. Few were able to withstand his often brutal instruction, so many of the internal skills of Banhou remained hidden from view until recently when some of the indoor instructions have been revealed by his lineage holders. Taijiquan was first widely disseminated in the early part of the 20th century when it was first taught to a general public by Luchan’s grandson Chengfu (1883-1936). Prized for its health and longevity benefits, some of Taijiquan's more challenging physical requirements were modulated to be less demanding and make the practice accessible to more people. The form taught publicly was a large frame, meaning that its movements involved wide stances and large gestures. The increased public access attracted people of questionable character. So many of the lethal aspects of the art were concealed from view. A new Taijiquan tradition—a health and fitness tradition—was born: “to strengthen the nation.” The smaller frame Taijiquan was kept secreted to what is known as "indoor students" who continued to train and keep alive the martial capabilities of the art. In the Chen village, new generations continued to train and develop the art. Chen Fake (1899-1958) was a master of extraordinary skills. He and his disciples are largely credited with bringing the Chen Style into the open. 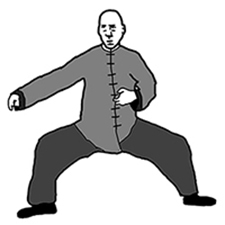 Distinguished by its graceful, sweeping movements, Chen Style Taijiquan tends to be the most athletic of the Taijiquan lineages. It emphasizes the spiral aspects and "silk reeling," the smooth consistent way to pull and wind the movements in the form. Since the opening of China to the west, Chen Style has grown in popularity among Taijiquan enthusiasts. The art has become popular the world over. In the U.S. the first instructors of Taijiquan emerged after the Second World War when notable teachers such as Chen Manching, Guo Yin Lieh, Sophia Delza, and Da Lu taught it openly to the public. Today there are many skillful instructors sharing deeper understanding and skills with students. Their students have continued teaching and today there are classes in towns and cities around the world. Hundreds of books have been written on the subject. 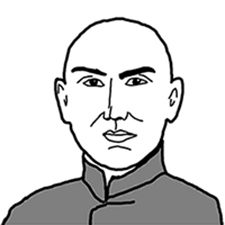 The Internet is filled with films and videos of Taijiquan teachers and practitioners sharing their knowledge. Scientific research reports are regularly documenting the benefits of Taijiquan for a host of health related issues. Thanks to one man who so loved Taijiquan, we are all blessed by having access to this marvelous martial art. © 2017, Wisdom Center, Inc.